contributions and attended by about 160 boys and 130 girls. Next there was a school between Mícheál Casey's house and Peter Moore's house. It was made into a teacher's house after the new school was built. 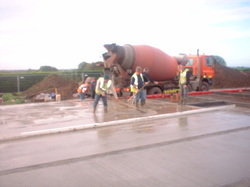 That new school is now Croghan Community Centre. 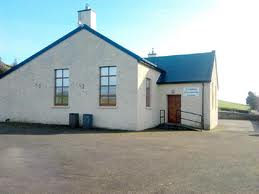 Croghan Community Centre was the local school until Scoil Bhríde was built in 1963. Master Quinn and Mrs. Glennon taught there. Master Fennesey lived in the old school and it became a ruin after he left the house. The house can be seen in the picture above. In 1963 the present school was built. fourth teacher in the school. Until that year there were only three classrooms. Bhríde as a shared resource teacher and taught in the prefab beside Mrs. Doyle. retired. Mrs. Mc Namee joined the school as our new principal in January 2011.